When Bjorn Johns, 45, joined the Boulder-based UNAVCO in 1993, the adventurous explorer did not anticipate he'd found his professional calling. To be sure, the freshly-minted engineer had recently graduated with a master's degree from the University of Colorado at Boulder, and the position at the non-profit organization, which supports scientific research around the globe using high-precision GPS technology, promised to send him to exotic locales to set up remote measuring stations. But the fieldwork was "logistically challenging, and not necessarily intellectually challenging," says Johns, who then held the position of field engineer. But a year after starting with UNAVCO, he landed the opportunity of a lifetime. UNAVCO was awarded a subcontract in Antarctica and selected three employees to spend the months of November 1994 – February 1995 on the ice. It was a dream assignment for the son of a Norwegian mother who had spent many formative years in his early childhood in the Scandinavian town of Nesna, just south of the Arctic Circle. "That made the connection for me that there are potential professional opportunities that could combine my engineering with my passion," says Johns. Prior to that, Johns said he expected his career to consist of "working in reasonably sterile cubeland doing exciting engineering work." And for a while, he proved himself right. After graduating from U.C. Davis with mechanical and aeronautical engineering undergraduate degrees and spending a year as a ski bum in Truckee, Calif., Johns began working as a civilian for the U.S. Navy in Alameda. His routine quickly evolved to support a weekend warrior mountain habit; Johns spent Friday nights racing to the Sierra from the San Francisco Bay area, and then fighting traffic at the weekend's conclusion in order to show up at work on time by Monday. After three years, he decided something needed to change, applied to graduate school and chose to attend Boulder. Despite Boulder's prevalence of scientists and institutes that focus on polar regions, Johns wasn't yet thinking he could pursue a career that would take him to remote ice- and snow-covered landscapes where the wildlife likely outnumbers the people. Then he got the opportunity to work on the southernmost continent. In Antarctica, Johns met Jocelyn Turnbull (the two would marry in 2001), and he sowed the seeds for his ultimate dream job at UNAVCO: creating and managing a polar component. "At this point, GPS was new and had widespread application for science," says Johns. "I saw a need for [focused support from UNAVCO] for polar research and precision GPS." 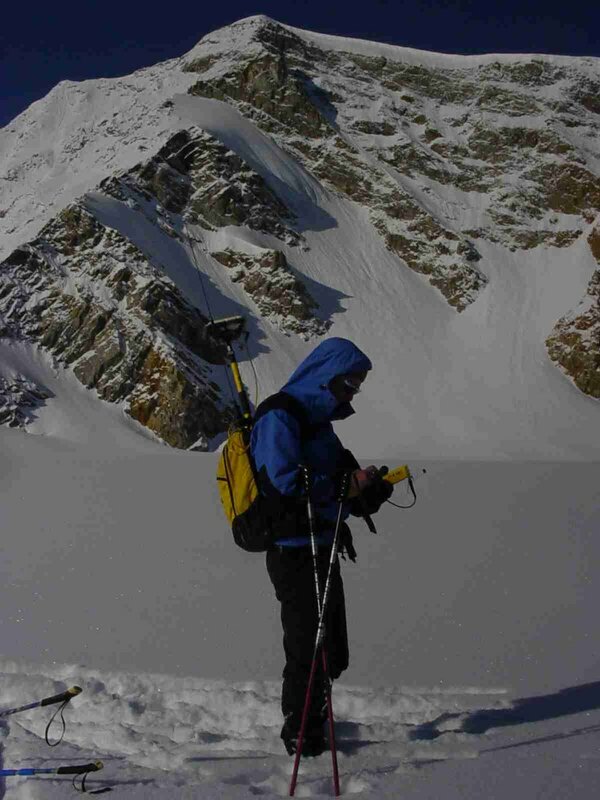 Johns talked his boss into appointing him head of the UNAVCO Polar Group and began growing the team, which provides GPS equipment and technical support for high-precision geodetic measurement needs in polar research. In 13 years, the group has grown to six dedicated employees and supports roughly 50 projects split evenly between the Arctic and the Antarctic. During the International Polar Year, the team developed a new generation of power and communications systems optimized for easy deployment and reliable, multi-year operation in severe polar environments. Available as kits to researchers, these systems endure years of harsh weather without requiring regular maintenance, and they provide continuous data recording. The systems weigh 1,000 pounds and use wind and solar power to charge batteries. The science data collected is retrieved via the Iridium satellite system. The system's efficient design and ability to operate remotely can help scientists collect critical data while minimizing flights (and saving money spent on costly logistics). Prior to the development of these systems, scientists were responsible for creating their own solutions to operate GPS equipment at remote places in extreme temperatures. Developing these polar kits provided one of the the intellectual challenges that Johns originally sought as he launched his career. Being half Norwegian (his other "half" is Californian), Johns experienced the Arctic at an early age. He describes Nesna as a "small, safe town." "In the summer, a bunch of eight-year olds would roam the street until it got around midnight and their parents would finally come looking for them," he says. 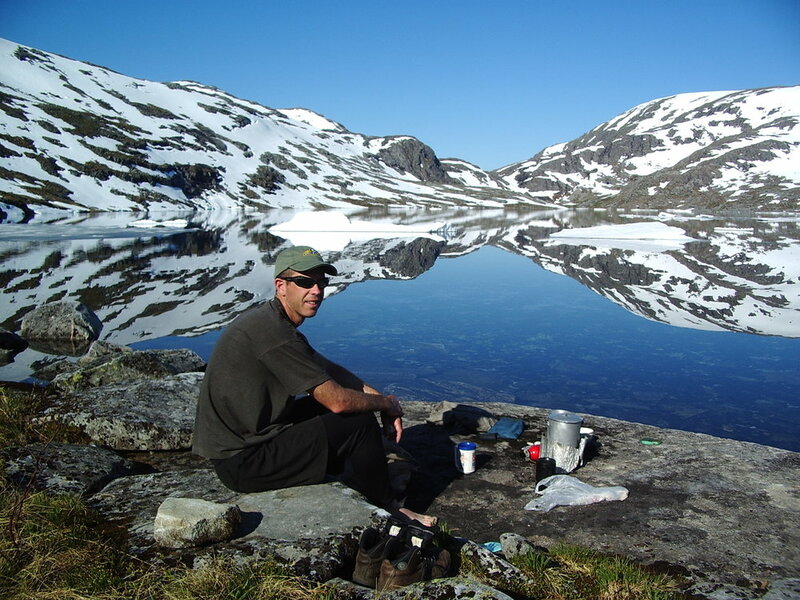 In Nesna, Johns developed an interest in the natural world. He and his friends would explore the nearby mountains, and in the summer, he would take out a boat and explore the water.However, it was his grandfather, Kolbjorn Spilhaug, who inspired him with polar fascination. An officer in the Norwegian army in World War II, Spilhaug fled Norway after the German invasion. After regrouping with other officers in England, he was deployed to Iceland and Jan Mayen, a strategic island with a critical weather research station. Spilhaug’s squadron trained American GIs in arctic warfare, and developed a tight camaraderie.Following the war, those friends often visited Spilhaug, and their friendship piqued Johns's curiosity. In addition, his grandfather kept a trove of Arctic memorabilia, including a knife made from a German reconnaissance plane that crashed on Jan Mayen. Pictures of sled dogs in Greenland and aviation books from the period inspired his imagination. When Johns was 18, his mother passed on to him a memoir written by his grandfather recounting his days in the Arctic. The writing brought the Arctic to life for the young man. In the years since joining UNAVCO and growing the Polar Team, Johns has continued to feed his travel bug. He's visited remote sites at both poles, and continued to pursue his love of the outdoors. From his home base in Boulder, he skis, bicycles, and rock climbs, and Turnbull, a New Zealand-native, shares in his passion.The two recently became parents and their infant son, Cameron, already has a passport and tickets to Chile (Christmas), California, and New Zealand. 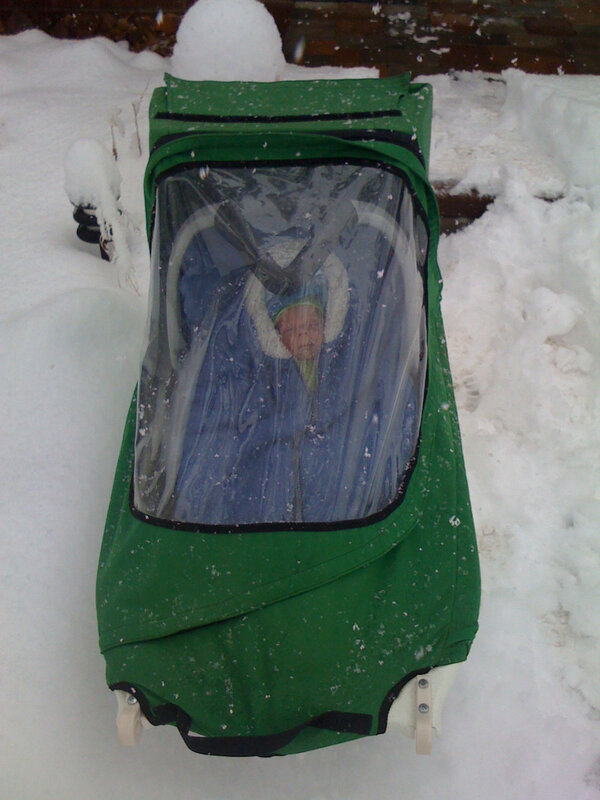 His car seat fits in the ski sled, and during an early season blizzard in Colorado's Front Range, Cameron (indirectly) made his first tracks. "We have been pretty determined from the start to get Cameron out so the outdoors are just a part of his life," says Johns. "I want him to know how it feels before he is even conscious of it going on. "Still he concedes that the upcoming travels are as much for Johns and Turnbull as they are for their son. "These trips are all about training us," he says.